Whenever my friends and I visit Melbourne, we always make sure that our number 1 priority is to eat, eat and eat some more. This trip was no exception and this time round, our friend who now resides in Melbourne decided to take us to some of the best joints in the area. 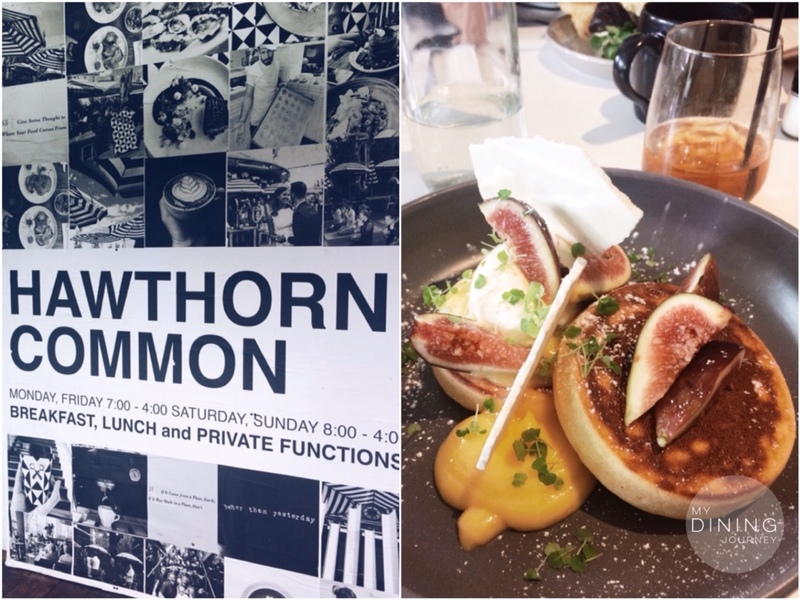 With a farm-to-fork concept and speciality coffee, Hawthron Common is one of those modern cafes where each dish is like a work of art. They are known to do as much as they could in-house including culturing yoghurt, roasts its own coffee and bake its own bread. My dish of choice for brunch is their gorgeous hot cakes with segments of fresh figs, meringue shards and lemon curd. 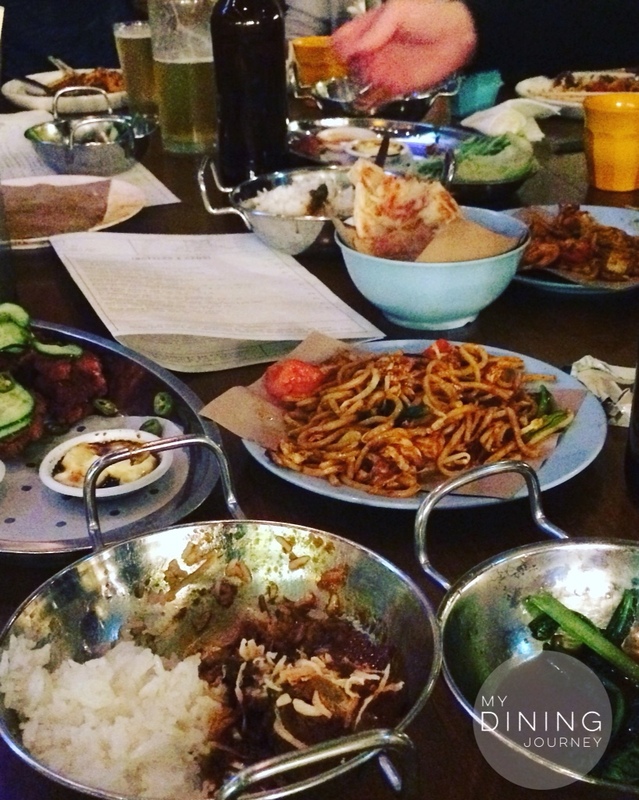 Taking inspiration from lively hawker centres in Asia, Hawker Hall serves vibrant street-food influenced from Malaysian, Singaporean and other South East Asian cuisine. Despite being able to fit around 160 diners, tables are hard to come by! Luckily our large group allowed us to book their Chef’s Table where we enjoyed their Banquet Menu which consists of 15 different best selling dishes. All the dishes were outstanding, there were more than we could handle and at $66 per head, bargain! Percy’s Aeroplane is a local favourite for residents around the area and we popped by as we were staying quite close. Lovely decor with open brick walls paired with my favourite colour, yellow! 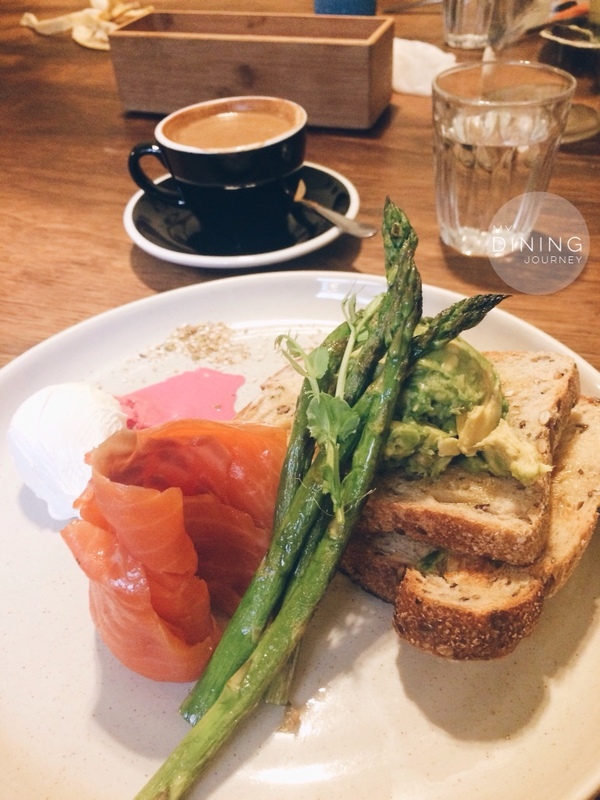 My grilled asparagus breakfast with smoked salmon, poached egg and smashed avocado on whole grain toast was decent, but nothing to write home about. 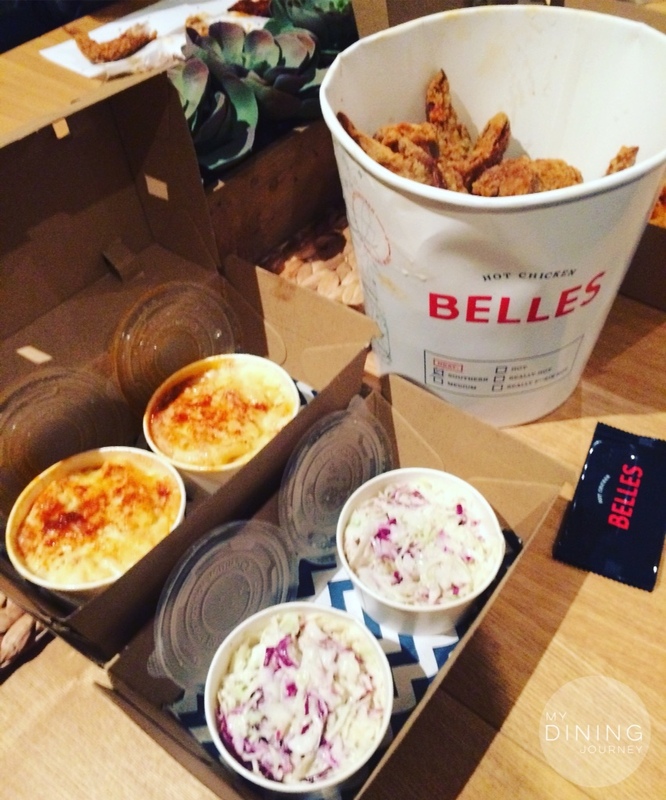 This entry was posted in Above Average, Cafe, Causal Dining, Melbourne, Travel Dining and tagged Belle's Hot Chicken, cafe, Hawker Food, Hawker Hall, Hawthorn, Hawthorn Common, Melbourne, Melbourne Dining, Melbourne Eats, Percy's Aeroplane, Street Food, travel. Bookmark the permalink.